Jonathan is lecturer on the Spatial and Interior Designer course within 3D Design in the School of Art, Design and Architecture. He runs an Interior Design consultancy called Multi Story Thinking that specialises in commercial and residential refurbishment. 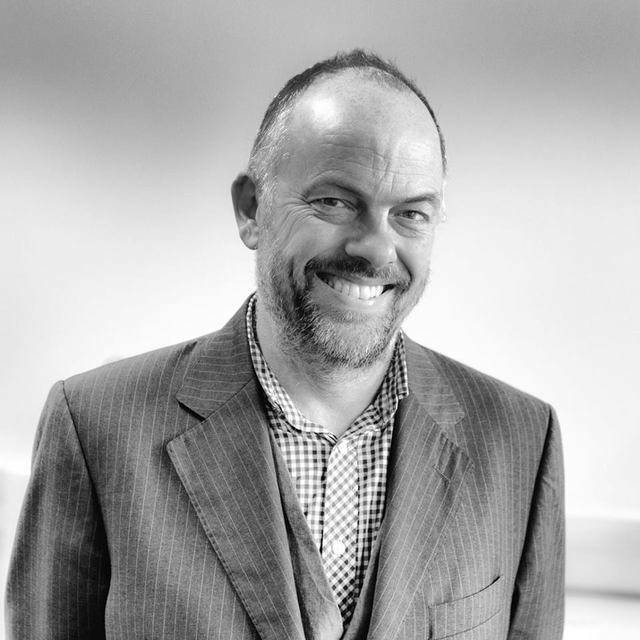 He teaches across all three years and works alongside Mathew Emmett and Ally Turner delivering a wide range of projects and workshops designed to extend the knowledge and experience of the design industry. The course is designed to equip students for today’s need for multi-disciplinary designers, this pathway combines interiors, architecture, branding, landscape, engineering, art and ethics. The curriculum crosses the boundaries between public realm design, place making, urban landscape, ecological design, design for performance, interior architecture and commercial interiors, developing new connections between materials, structures, space and furniture. His teaching aim is to develop students into skilled practitioners with a strong eye for concept and detail with the employability skills to begin their careers in the design industry. I have an Ma in Furniture Design having studied at the Royal College of Art in London. I come from a commercial design background and run a design consultancy specialising in commercial and residential interior design. My approach is to bring this experience and knowledge directly to the student experience. I replicate the conditions of real work, teaching the students the skills they'll need to be competitive in the job market. Our design modules impart these skills, whilst allowing for creative freedom and experimentation, to enable students to find their design voice and have the skills to express themselves in a passionate, professional and approachable way. I'm working with student accommodation provider UPP (http://www.upp-ltd.com/) running a series of projects to design student focused spaces where my students can engage with industry and use their experience to help design the next generation of student accommodation spaces. My experience of commercial office design helps inform the teaching of projects that explore the changing face of workplace design. I draw on my wide range of industry contacts to help support the design projects I run. External Examiner for Interior and Environmental Design. BA Honours, Duncan of Jordanstone College of Art & Design, Dundee. External examiner acting as 'critical friend' in support of the course as it develops. A sounding board, a bouncer of ideas, interrogator of initiatives and champion of best practice. I'm working closely with Andy Milligan, Gary Kennedy and Linsey McIntosh as they develop and enhance their course. I run an interior design consultancy called Multi Story Thinking, which specialises in retail and commercial interior and private residential projects. With a focus on return on investment, brand and the customer experience our work is characterised by pragmatic and creative solutions which transform the daily experience of their clients. Our recent projects include office interiors for ACCA in London and Glasgow, retail environments for The Sanctuary Spa in London and The Real Food Store in Exeter. Our residential work transforms old fashioned and out dated properties to create spaces that really reflect the way their clients want to live with the Boundary Estate refurbishment recently shortlisted in the New London Architecture 'Don't Move Improve' exhibition. Devon based designer-educator-multistorythinker-dad. Passionate about design/cooking/growing veg & still thinking about building a smoker. 1/2 of​ award winning design consultancy Forster Inc.